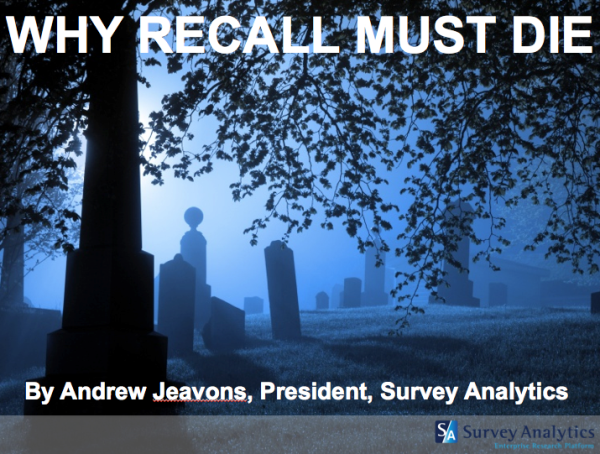 Join Survey Analytics President Andrew Jeavons on Tuesday, August 14th at 10am Pacific / 1pm Eastern as he takes you through some recent findings in the world of psychology and challenges the market research status quo. The assumption underpinning the standard market research operating procedure of directed recall is that we can reach into our experiences and retrieve complex information. But is that true? Smartphones present an opportunity for capturing feedback at the Point of Emotion (POE), the point in time when a consumer is using a product, both through smartphone surveys and passive data collection. This webinar is not to be missed! Click this link to register for the webinar. Is point of emotion, the feeling that we are feeling right now..it is important to know that any point of emotion of feeling can be recalled if we wish, even when we are praying or setting goals, it is important to feel the prayer or goal as if it was received already.